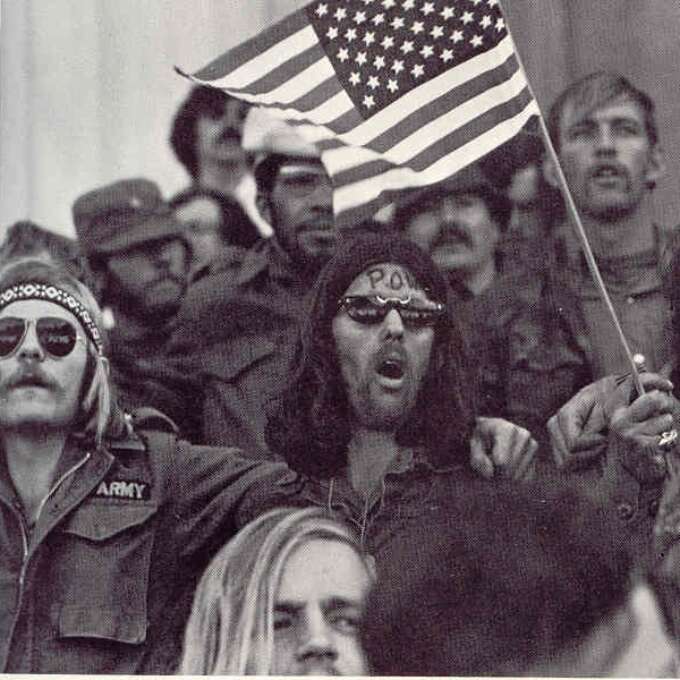 It's hard to say what makes the Vietnam War loom so large in the popular consciousness, certainly in part its the fact that it took place at a time of great change in youth culture in the West, heavily influencing the music and politics of it's time. 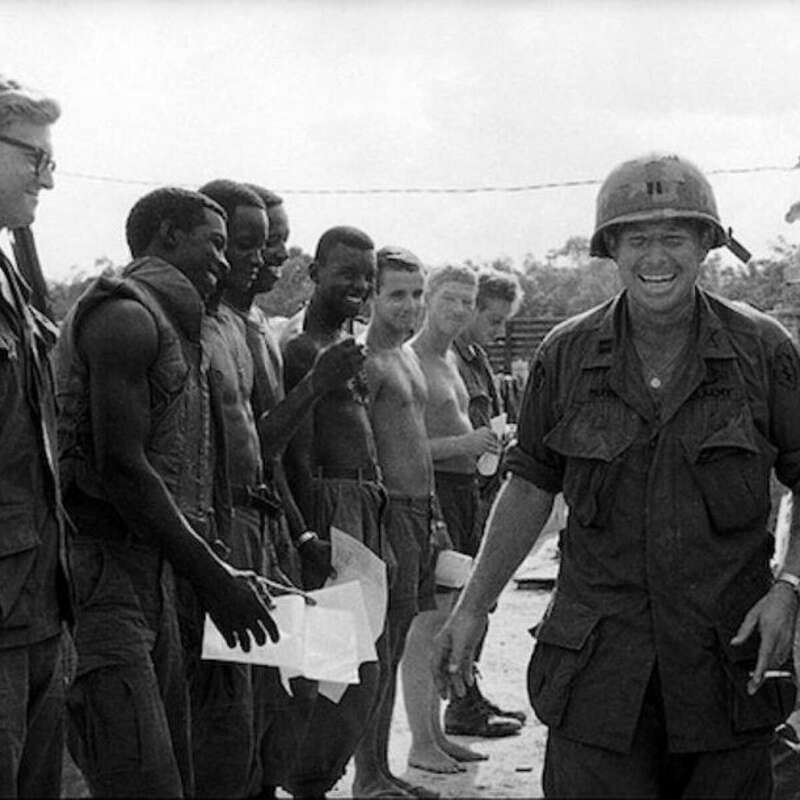 With almost 3 million Americans serving over the course of the conflict its influence on that society was enormous, but I think my brother said it best when he remarked "it's sort of the punk war" and while its an off-hand remark theres a lot of truth in it. Never had soldiers looked so individual: helmets and uniforms customised with pins and slogans, adapted with modifications to better suit the harsh environment and it wasn't just a visual similarity either, the Vietnam conflict shared punks Nihilism: while soldiers might have been held together by a sense of purpose at the beginning of the war by the end they we're largely indifferent to the fate of the country, and sensed their sacrifice was in vain. 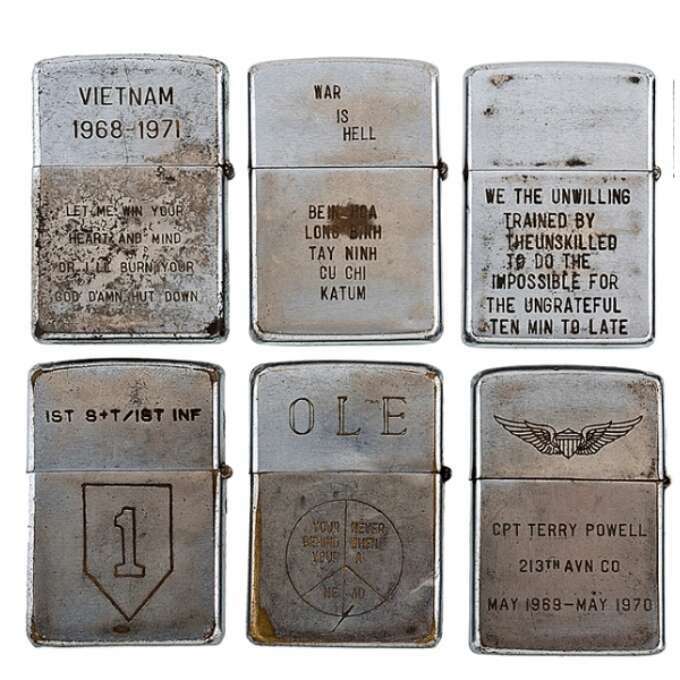 Engraved lighters customized for soldiers in Vietnam. Either way the Vietnam war cast a long sartorial shadow, with the M-65 Field jacket in particular gaining an iconic status: first as donned by the youth protesters and hippies either in solidarity or because they were ex-servicemen themselves, an appropriation where the uniform of war become the uniform of counter culture (most famous example of this perhaps John Lennon's ubiquitous OG-107 military overshirt). Later in the 1970's the jacket was found on the backs of cinema anti-heroes like Al Pacino's Serpico, Robert Dinero's Travis Bickle & Sylvester Stallone's Rambo, these characters exemplified the drifter/veteran archetype: rejects from society, outsiders clad in their utility army coat. Protestors in M-65's from the Vietnam Veterans Against War group circa. 1971. 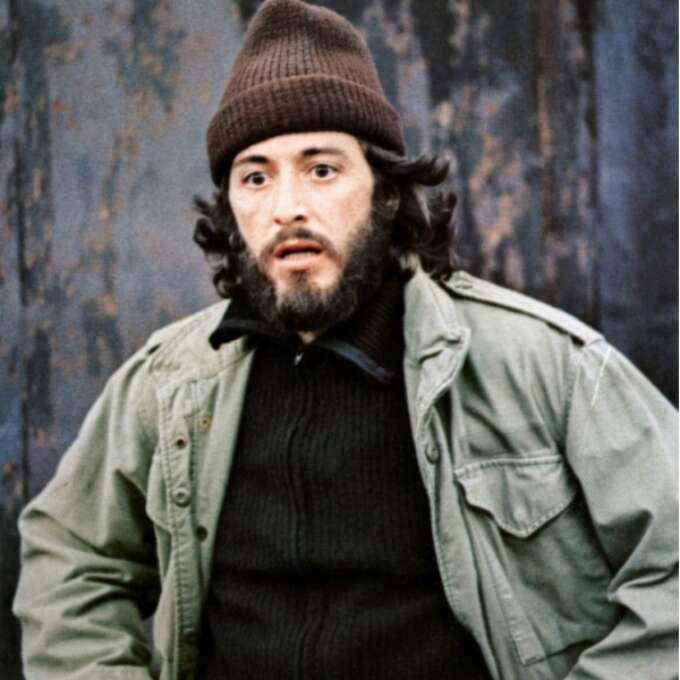 Al Pacino playing renegade 'hippie' cop Frank Serpico in the 1973 film Serpico, donned a M-65. 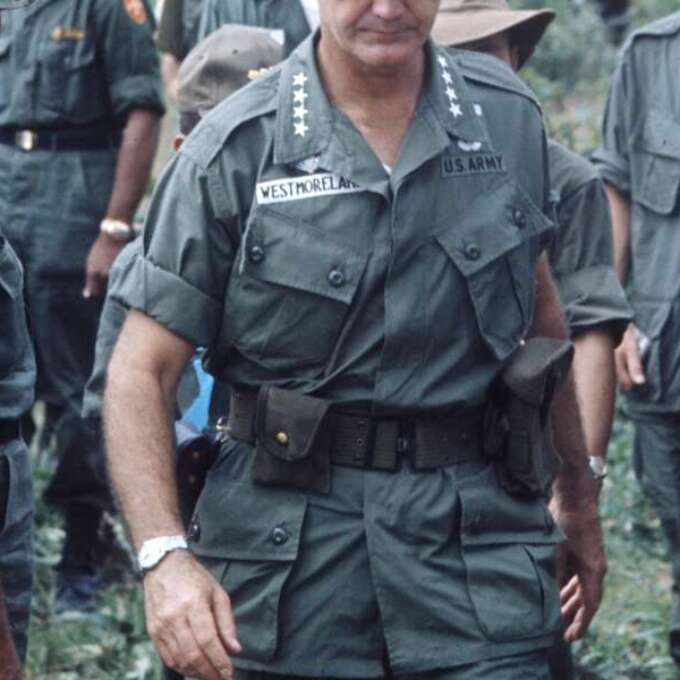 Strangely, while the M-65 became a fashion staple, the actual jacket donned by troops in Vietnam, the Tropical Combat Jacket, never really made the leap from militaria to popular casual jacket and rarely referenced by designers or menswear publications. Thats a shame, the Tropical Combat Jacket is well suited to casualwear, in reality more of a utility overshirt than a full jacket. It was created in 1962 as a lightweight jacket specifically for special forces in Vietnam, originally with exposed buttons and epaulets it presented a pretty conventional military appearance. 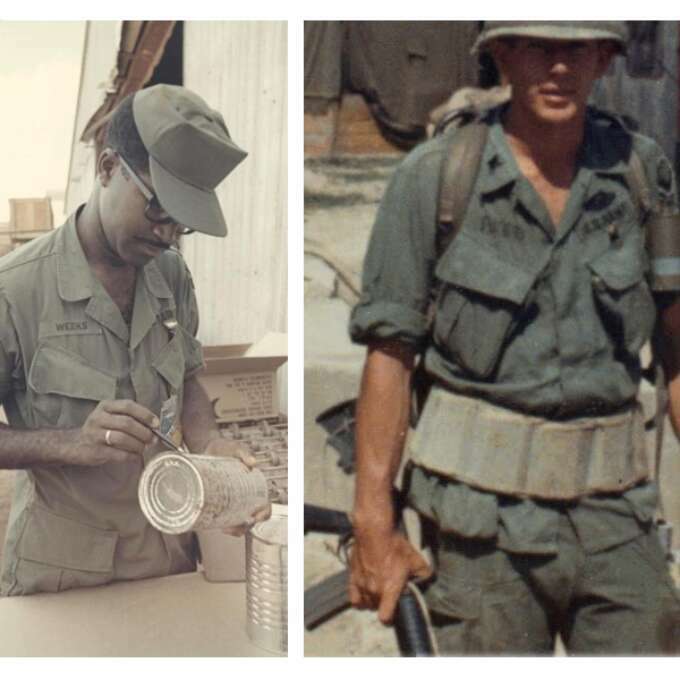 As feedback came in from the field the design was revised: Epaulets and buttons that snagged in the jungle were removed and what was left was the minimal olive green 1965 2nd Pattern seen on most Vietnam era troops with its distinctive slanted cargo pockets. The later more widespread varients were pared back with the buttons covered and epaulets removed, most were olive green though special forces would sometimes have them made in Tiger camo or dyed black. While the TCJ is not a household name in design or fashion circles in the same way the M-65 is, there has been a few attempts to re-introduce the style. Perhaps the most successful of these was the 'Kilgore' jacket by pricy streetwear brand Vivsim. Inspired by Robert Duvall's character in the film Apocalypse Now it is a staple of the brands collection, and while it shares the four covered pockets and general shape of the TCJ its not particularly faithful being much slimmer and missing the slanted pockets of the original. The brand has made the jacket in a variety of colors & finishes from corduroy to linen and occasionally with details hinting at the war time counterculture like peace decals, its the only piece inspired by the TCJ widely available but also deviates most from the original. Clockwise from top left: Vivsim 'Kilgore' Jacket aw14, Aspesi 'Hanoi' jacket ss13, Needles 'sulfur dye jacket' ss13, UNIS 'Charlie' jacket ss12. Italian brand Aspesi regularly modernizes or interprets military jackets from the mid-century period and one somewhat reoccurring design is the 'Hanoi' jacket, which clearly takes influence from the the 1st pattern TCJ with epaulets & exposed buttons. Where it differentiates itself is the single buttons on the pockets, which could be the designers attempt to simplify the look, although there are AVRN issued jackets that single button closure. The playful Japanese brand Needles created one of the most faithful versions of the jacket in its 'sulfur dye jacket' where it stands apart is the fantastic almost acidic green color, in every other way it remains a close take on the later TCJ The final designer take worth your attention would be the one made by NYC based UNIS, the superb 'Charlie' jacket. While closely resembling later TCJ's, it's notable for being made from Japanese ripstop in not just the standard olive green but also a navy and a fantastic Tiger Stripe camo as used by the American special forces and their vietnamese allies in the field. Its only real deviation is in the straightening of the pockets which gives a cleaner silhouette, unfortunately the jacket hasn't been issued by the brand since the ss12 season. Japanese repro. specialist Buzz Ricksons version of the TCJ. Despite the dearth of updated fit TCJ's available there is a pretty healthy second hand and repro. 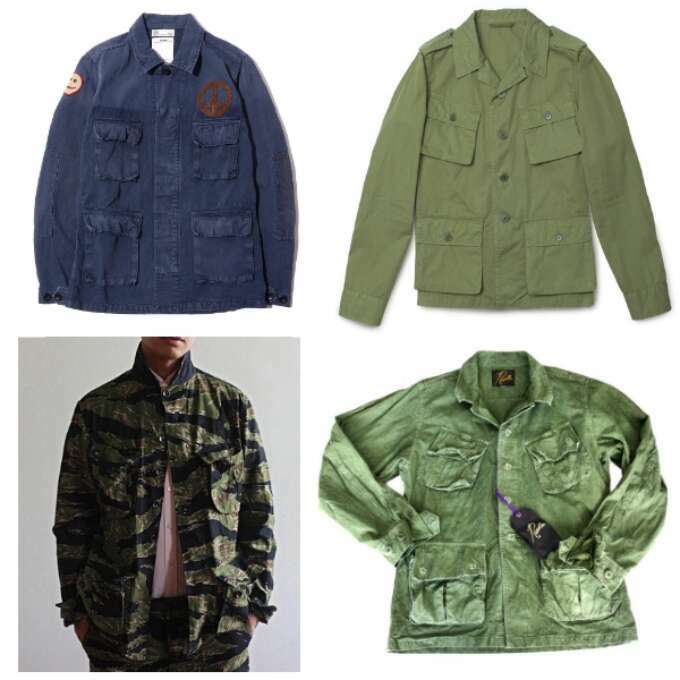 market, with the various issues available at reasonable prices (although the first pattern is certainly rarer) The best of the repros is likely Buzz Rickson's 'U.S. 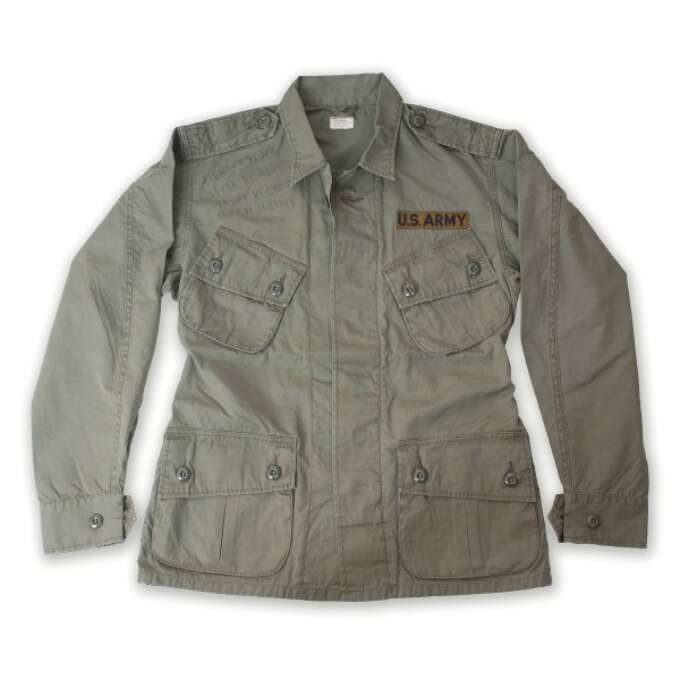 Army Tropical Jacket' a weathered take on the 1st.Pattern that even includes a subtle anti-war customization on the left shoulder: "Fighter by day, Lover by Night, Drunk by choice, Army by mistake". While these jackets are available I do hope the future will see this piece more widely revived, instead of giving the m-65, or the m-50 fishtail its 10,000th interpretation designers would do well to have a go at an excellent and underrated garment.